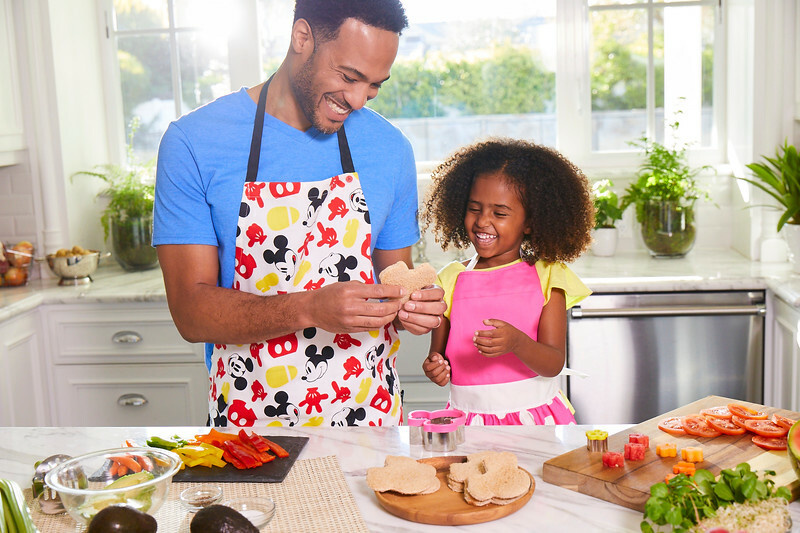 Grab your little sous chef! 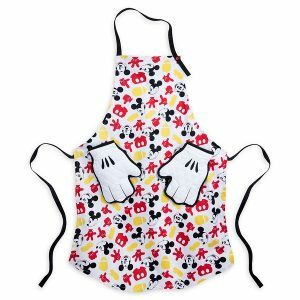 Mickey Mouse Apron and Oven Mitt Set for Adults ($29.95) – Be a fa-mouse chef in your own kitchen with this colorful Mickey-inspired set. 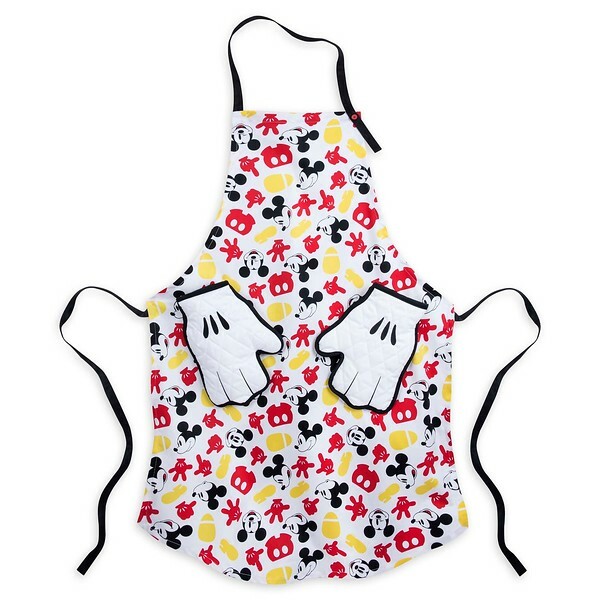 With an apron and glove-shaped oven mitts, making and baking magic will be easy. Your little Mouseketeers can cook alongside you, too, with our Kids’ Set, sold separately. 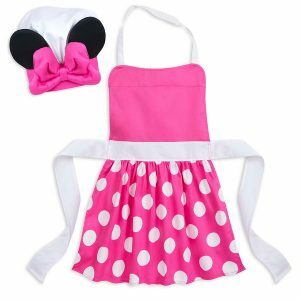 Minnie Mouse Chef’s Hat and Apron Set for Kids ($19.95) – They’ll cook up something wonderful in our polka dot apron and chef’s hat featuring Minnie Mouse ears. 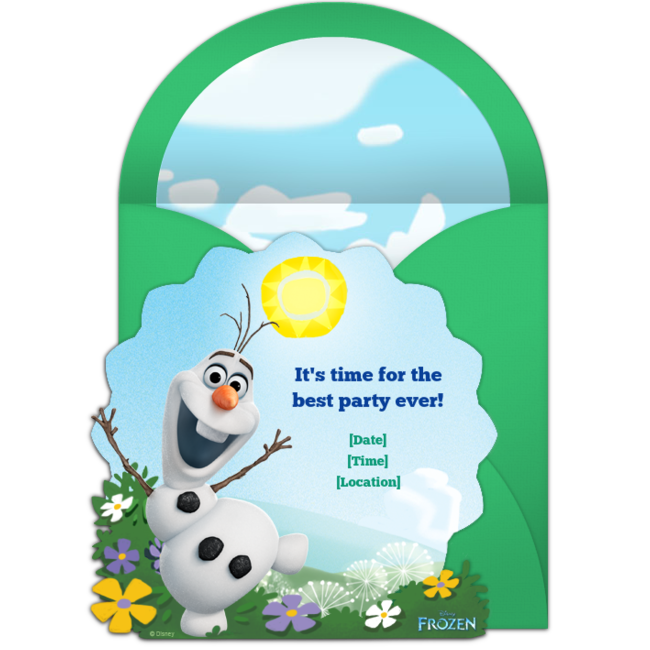 This essential set is the perfect ingredient to make family mealtimes magical. 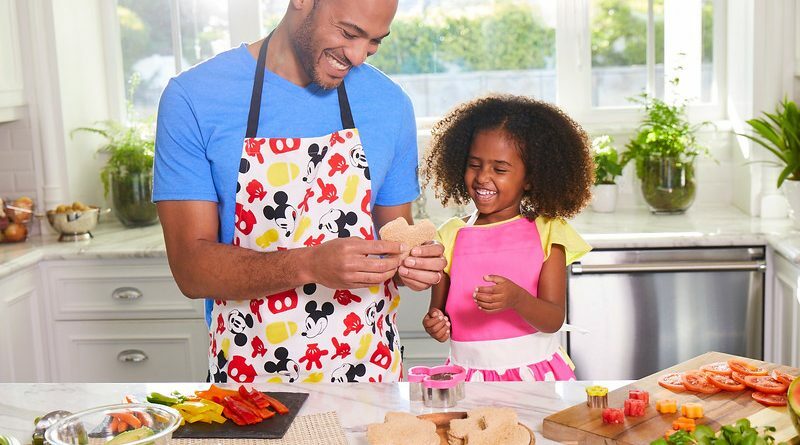 Mickey Mouse Measuring Spoon Set ($7.95) – Mickey lends a hand in the kitchen with this measuring spoon set from Disney Eats. 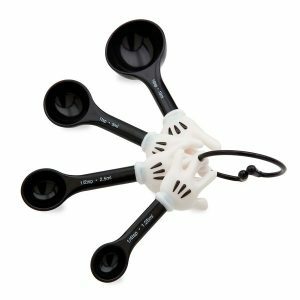 His glove tops the handle of each spoon, making it easy for your Mouseketeer to lend a hand, too! Minnie Mouse Food Cutter Set ($14.95) – Add a little magic to meal time with this Minnie Mouse-inspired food cutter set from Disney Eats! 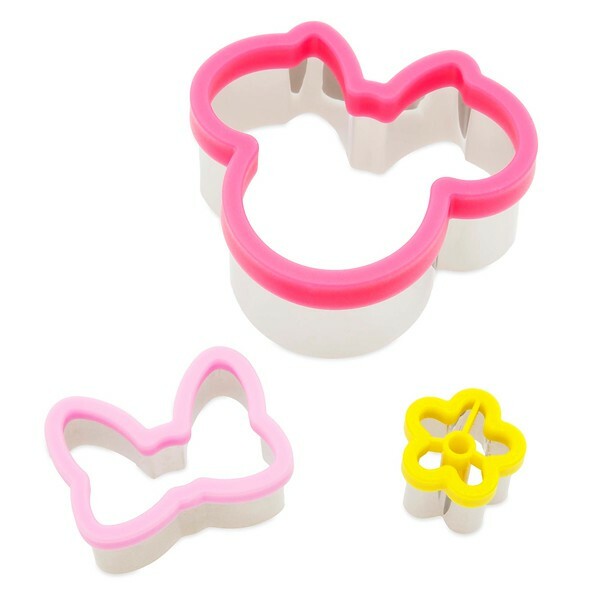 Minnie’s icon, bow and a flower are prepared to make the fruit and sandwiches on your plate look even more delicious and fun. 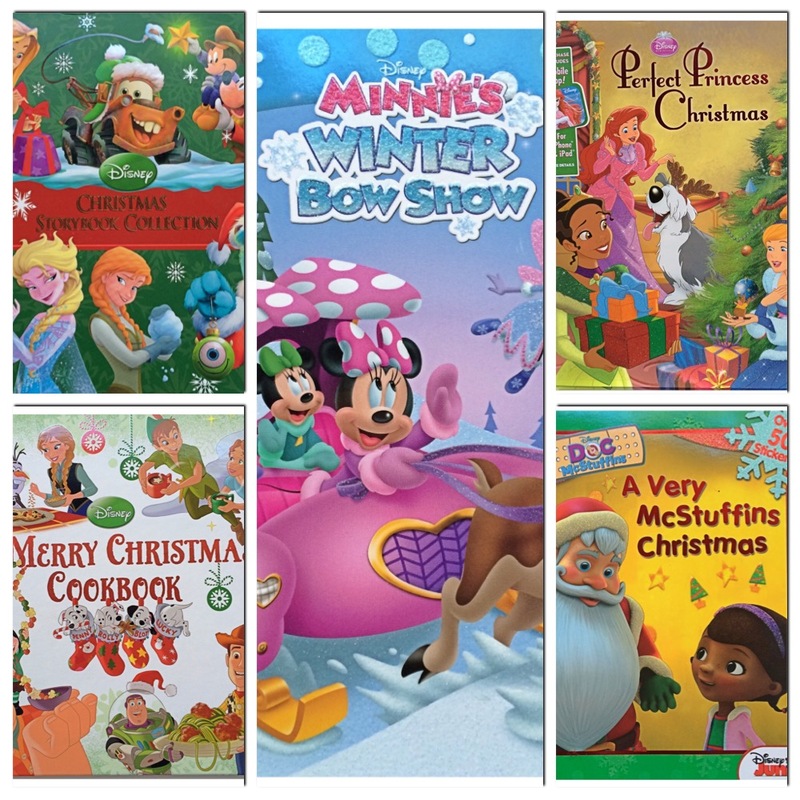 Find these and the full Disney Eats collection exclusively at shopDisney! The collection will be available in stores later in the month on 4/23.